Raising funds for Singing for the Brain, Otley Courthouse Choir and Otley Singers are joining forces for an evening of song. Singing is such a joyful experience which lifts the spirits and all in a great cause. Otley Courthouse Choir is a community choir group singing songs from folk traditions from across the world. 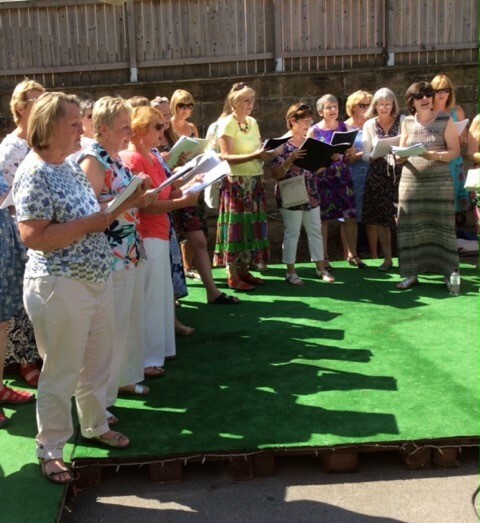 Otley Singers is also a community choir singing for pleasure and occasional performance with a wide repertoire of tunes, including pop! They will be joined by the Sheeptown Songsters from Skipton. There might even be some mystery guests joining us (though they don’t know it yet)! Come along and be entertained.